With views like this and time to just sit and chat, you won't miss your usual rushed drive-thru routine a bit. Find out if the kids can return that killer slice. Lounge around the pool all you like. That's precisely why you're here - make the most of it. Plenty of space to hang out together without tripping over snorkel fins and inflatable dolphins. Located right on gorgeous Orange Beach, Alabama. You're only a 7 minute drive from Orange Beach Golf Center. Packing for a stay at The Palms is blissfully simple. With the beach just steps away over a private boardwalk, you’ll be hard-pressed to come up with a convincing reason to wear shoes – or anything more than a swimsuit and maybe a cover-up or swim shirt for the kids. That’ll leave plenty of suitcase space for the essentials, like board games, snorkel masks and inflatables for the pool. Toss in your tennis racquets too – the court’s lighted for evening sets. Maximize your beach and pool time (and flaunt your impressive organizational skills) by ordering groceries in advance. Spacious two- and three-bedroom vacation condos are all equipped with full kitchens, so make the most of help-yourself breakfasts and low-key dinners, comparing hot pink noses and shoulders after long days at the beach. If the clouds roll in early, walk to nearby shopping, or jump in the car and hit the Alabama Gulf Coast Zoo, less than 15 minutes away. - The front desk is open 8:00 AM - 8:00 PM daily. 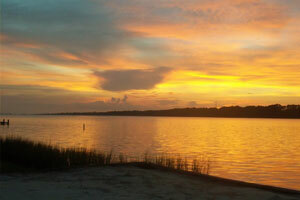 Check-in for this property is based at 1557 Gulf Shores Parkway, Gulf Shores, Alabama, 36542. Guests arriving outside of regular check-in hours can use the exterior telephone for check-in assistance and key retrieval information. For more details, please contact the office using the information on the reservation confirmation received after booking.